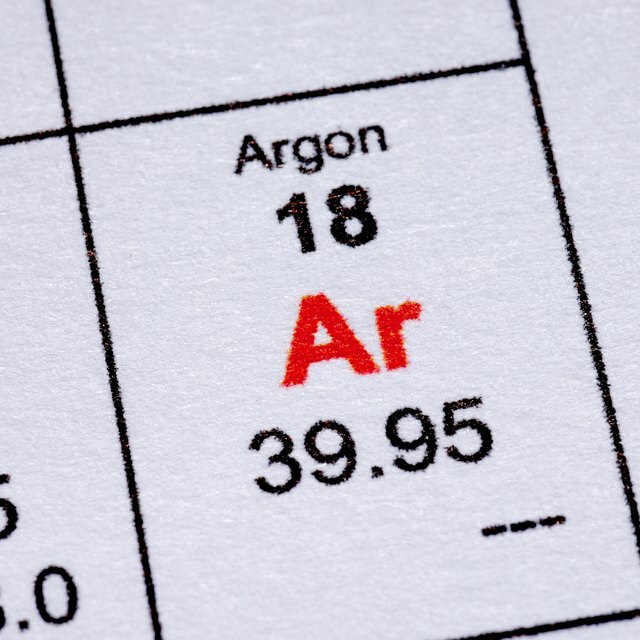 Does Argon Act as a Greenhouse Gas? How Does a Greenhouse Work? Thanks to growing concerns about climate change (often called "global warming") and the language that has sprung up around this concern, it's likely that as many younger people have heard terms like "the greenhouse effect" and "greenhouse gases" than have been inside an actual greenhouse or know what such a structure even is. A well-tended greenhouse is a peaceful and visually pleasing place to visit or work, although the environment is perhaps overly warm and moist for some people's tastes. Concerns about greenhouse gases and their effects on the Earth's climate, however, are anything but alluring, and concerns about global warming grow more worrisome by the year. 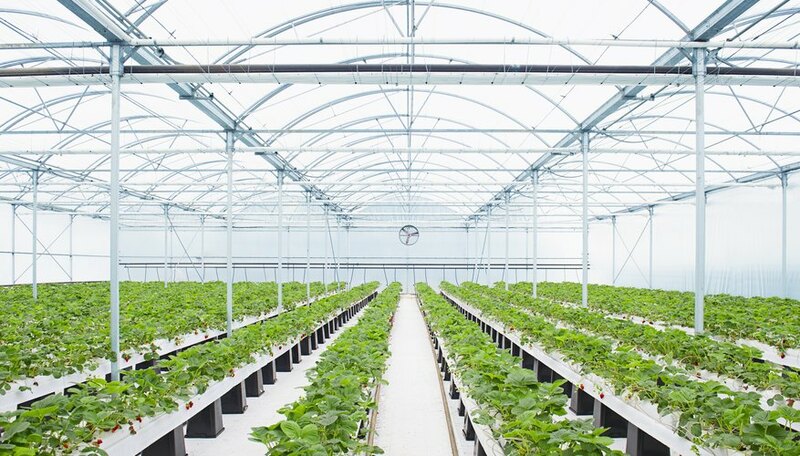 While real greenhouses aren't responsible for the effect that bears their name, the underlying principles make for an interesting study of some basic physical principles. A greenhouse is so named because it's a structure intended for growing plants, and most plants are green, at least in part. Obviously, you can have plants inside your home as well, but greenhouses are built to maximize the "comfort" of plants. By way of analogy, you can play basketball on an asphalt driveway using a single makeshift hoop, but few would argue that this is as helpful to improving your game as an indoor, two-basket court on a level floor. What makes a greenhouse special? Primarily, it is the amount of light, the controlled temperature, and the easily manipulated amount of moisture plants receive. Some greenhouses are dedicated to "crops" that are not eaten and are used only decoratively or for special occasions, such as flowers. Others feature plants that give rise to edible products, such as tomatoes. Greenhouses have glass ceilings, which serve to both admit a high amount of light and trap heat inside the structure. When the sun goes down, the heat doesn't dissipate as quickly as it does outdoors, allowing for plants that don't tolerate cool nights well to flourish. From a physics standpoint, what warms a greenhouse is the same thing that warms the interior of a car on a sunny day. Shorter-wavelength infrared light enters the structure through the glass, and after these invisible but warm rays bounce around, they become longer-wavelength electromagnetic energy and tend to stay inside, getting absorbed by their surroundings. These surroundings, in a greenhouse, include the leafy surfaces of plants, which use sunlight to drive photosynthesis, or the creation of glucose (food) for energy. The main greenhouse gases are carbon dioxide, methane, water vapor and nitrous oxide. These gas molecules are more loosely connected than most molecules, so that when heat strikes them, they tend to vibrate. These vibrating molecules release heat, much of which is then absorbed by neighboring greenhouse gas molecules. This cycle keeps the air in the vicinity unusually warm. Most of atmosphere consists of nitrogen, which makes up over three-fourths of the atmosphere, and oxygen, which accounts for about one-fifth. Both of these gases include two identical atoms (N2 and O2). The bonds holding these molecules together are tight and allow for little vibration, so they do not retain heat well and hence do not contribute significantly to greenhouse effects. Carbon dioxide (CO2): Carbon dioxide molecules make up only a tiny fraction of the atmosphere, but they nevertheless exert a very strong effect on climate. Around the mid-1850s, before the beginning of the Industrial Revolution and the attendant burning of coal, the atmosphere held about 270 parts per million volume (ppmv) of CO2. This level has steadily climbed as the burning of coal and other fossil fuels, such as gasoline, have released more of the gas into the atmosphere. The CO2 level in the atmosphere now stands at about 400 (ppmv), a 50 percent increase. Opponents of the entire idea of human-caused climate change may point to the fact that CO2 makes up such a small fraction of the atmosphere, even in this age of heavy industry, that it cannot possibly have significant effects on climate. This is an easily popularized idea, since it makes a certain amount of intuitive sense. But it also "makes sense" that a tiny level of microscopic bacteria in the bloodstream, weighing far less than a milligram in total, cannot possibly suffice to cause serious disease, and that tiny levels of snake venom cannot possibly be dangerous or lethal. These ideas are plainly nonsense, so intuition, in science, can be a notoriously poor guide. Methane (CH4): Methane is a powerful greenhouse gas, with a capacity to absorb considerably more heat, molecule for molecule, than carbon dioxide can. Consisting of a single carbon atom joined to four hydrogen atoms, CH4, like CO2, is found in minute quantities in the atmosphere, but it can have a sizable impact on global warming. Methane gas is emitted by livestock and, as the simplest molecule that qualifies as a hydrocarbon, it is also used as a fuel. When methane is burned, carbon dioxide is released into the atmosphere as a by-product, making methane both a direct and indirect contributor to the greenhouse effect. As noted, even though only a tiny fractions of the gases in Earth’s atmosphere qualify as greenhouse gases, these have a substantial effect on climate, whether they got there as a result of natural processes or owing to human activities. Sometime during the 21st century, the amount of carbon dioxide in the atmosphere is likely to be twice what it was at the start of the century. Levels of other greenhouse gases, mainly methane and nitrous oxide, are also on the rise. The quantity of greenhouse gases is increasing in proportion to the quantity of fossil fuels being burned, which expels not only greenhouse gases but also air pollution into the atmosphere. Greenhouse gases find their way into the atmosphere from other sources, too. Livestock release methane gas in the course of digesting food. Additionally, seemingly benign processes can contribute non-trivial amounts of CO2 to the mix. For example, as cement is made from limestone, carbon dioxide is released. With more greenhouse gases in the atmosphere, creating something like an invisible ceiling (not unlike a real greenhouse), heat passing upward is more likely to be stopped than to pass out of the atmosphere altogether, because the additional greenhouse gases absorb, and then radiate, this heat as infrared radiation. Some of the heat will head away from the Earth, but some of it will be absorbed by nearby greenhouse-gas molecules, and some will return to the Earth’s surface again. Thus, through a variety of mechanisms, as greenhouse gases accumulate, the planet continues to warm. Glaciers recede, ice at both of Earth's poles melts, the oceans warm and become more acidic, snow cover worldwide is diminished and catastrophic weather events such as hurricanes become more commonplace. Making your own greenhouse is no trivial project, but with enough ambition, it is not beyond the means of a passionate person or group. Whether you wish to protect summer plants in the wintertime, get a head start on springtime landscaping plants or just learn a little about indoor horticulture, you can get a set-up going for anywhere from a few hundred U.S. dollars to a few thousand. NASA Climate Kids: What Is the Greenhouse Effect? University of Arizona: Backyard Gardener – Thinking About a Greenhouse? What Are the Most Important Uses of Heat Energy in Physical Science? Beck, Kevin. "How Does a Greenhouse Work?" Sciencing, https://sciencing.com/a-greenhouse-work-4564037.html. 26 October 2018. What Are the Causes of Global Warming & the Greenhouse Effect?